It is common place for the educated and the uneducated alike today to say things such as “Well, I don’t agree with that. That’s just your interpretation.” Such a claim is bloated with philosophy whether we know it or not. It is actually consistent with the most prominent philosophy of our day – post-modern linguistic philosophy which basically teaches that words only have meaning in contexts and not in and of themselves or tied to reality. The context that gives meaning to a word could be the language “game” of a given culture, the mind of the person using the word, or any other context or matrix. We are living in a romantic age that started in the 1960’s, in which relativism is the “norm” and it is high octane fuel for this groundless approach to language and truth. Philosophy, good or bad – in this case bad, makes a difference in our lives and in our theology. In our own synod we have professors asserting that the text of Scripture is “plastic” and that “the reader is every bit as much a part of of the text as is the text.” These are statements that only make sense with a given philosophy behind them. We will talk more about these particular philosophies when we get to them in the last few posts in this series. I bring it up now to illustrate why philosophy is important. Do words mean anything consistently or are they subject to each speaker’s personal experience? Are words connected to the “real world” or are they their own distinct reality? Is there any way we can ground and verify a conversation between the two of us and know that more than just subjective grunts were made? Is our understanding connected to words? 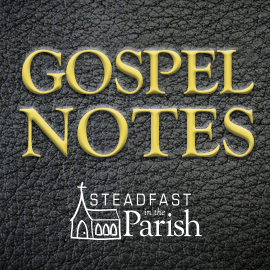 If we cannot connect words, ideas and the real world, can we know that Jesus of Nazareth claimed to be God and died for our salvation, and that the Scriptures that relate this Gospel, can actually be understood in the same way by two or more people? The Gospel is most certainly believed by the power of the Holy Spirit but what about the words that bring us the Gospel? Do they mean anything? Of course they do. God has brought us the Gospel in the form of sense experienced flesh and the words that tell this account. Jesus said “Put your hand here Thomas in the finger hole.” He has also brought it to us in the very words (not just ideas) of Scripture. Philosophy has a lot to say in favor of the viability of words, sense perception and truth and it has a lot to say against such. Even the best philosophy however, brings with it challenges to the Gospel. Making some sense of it all is what we are trying to do here. 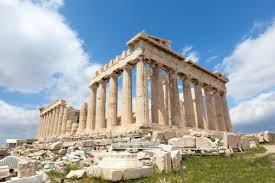 Philosophy began in the West in the Greek empire, in the region of Ionia, in the city of Miletus, just south of Ephesus. It was about 600 years before Paul would be evangelizing this very area. The young aristocratic men were wealthy and had time on their hands to start asking questions about the nature of things. As in all generations there were skeptical sophists who questioned everything and proposed various forms of relativism. The religious answers of the day in the form of the Greek myths were unsatisfactory to the inquisitive mind and so in order to fend off the relativism of the skeptics, to satisfy basic curiosity, to offer reasonable versus mythological answers to life’s great questions and with time on their hands, these Ionians began to consider the basic issues of reality and knowledge. These earliest Western philosophers, known loosely as the Presocratics (i.e. before Socrates), began to study the universe to see if they could find a rational explanation for the things that vexed them: birth and death, growth and decay, coming into being and going out of being. They were asking: “Is there something that is constant in all this change that is the ground of all reality and experience?” The skeptics, then as now, claimed that all of the change in our experience invalidates any claims to absolute truth. They taught a relativism of science and ethics, so the earliest philosophers looked for that Archimedean point from which knowledge and reality could be grounded. In the process they planted the seeds for the dualism of matter and spirit that would find its way into Christian theology and inspire and birth such false teachings as the Roman Catholic theology of progressive justification, charismania, and even Calvinist Nestorian Christology. The Ionian philosophers had a naturalistic approach to these basic questions. They looked to the elements of air, fire, water and earth as the potential ground of all being. They seem primitive and odd to us but that is mostly because they did not have the tools of modern science that we take for granted. Pure thought was their main tool. Before we get to their views it is important to wonder why it took so long for this philosophy to come on the scene. We don’t know exactly how long ago it was that God created the universe but if you follow the Usher chronology it was about 4,000 years before Christ. Where was philosophy in the 3,500 years before the Ionians? The belief in creation by a personal and all powerful God, the ensuing flood, and the scattering of mankind to the corners of the earth after the tower of Babel, and the various pagan versions of these stories, seems to have kept man satisfied for millennia. Besides, there was no enduring aristrocratic class in the West until the peace and wealth of the Greek empire. There was no leisure time to ask and answer these fundamental questions when one was hunting, gathering and herding for subsistence. Thales (pronounced thay-lees) is known as the first Western philosopher. He proposed that the changing nature of reailty is grounded by a single One which he figured must be water. Knowing what we know now through modern science that the human body consists of about 60% of water makes this a rather clever and prescient theory on Thales’ part. So this is how he gets thought moving away from myths and toward a rationale explanation for the universe and a grounding of reality. He reasons that all things can be reduced to water in some form or another. We won’t spend much time on the theories of these presocratics since the more important thing is the fact that they started thinking about these things and Western man has not stopped thinking and writing volumes about such things ever since. Anaximander, a student of Thales, continues down his teacher’s path by positing that there is some underlying, consistent, unified substrate for matter/reality but he proposes that it is not water, but some boundless indeterminate “stuff.” He adds to the mix an emphasis on the source of change in the stuff. He figured it was due to motion. (Notice how similar this is to the big bang theory – in the beginning there is eternal matter and some swirling motion. The more things change, the more they stay the same.) Whereas Thales is confident that all things consist of water in some form or another and that this brings some stability to our understanding of reality, Anaximander does not believe this has accounted for the very change that vexed the thinking man and so he posits some sort of indeterminate stuff that is held together by motion. Again, these guys sound like primitive scientists or ivory tower, egghead philosophers but remember, what they are doing is unique and groundbreaking. They are asking questions that have never been asked before. We can dismiss them as pagan rationalists but what they got started, Western philosophy, already by the time of Augustine, has made its way into the heart of Christian theology. These presocratics seem rather naïve, but within a couple hundred years, by the time we get to Plato, these initial thoughts will have been fine-tuned and developed into complete systems of thought. Actually, a brief summary like this makes them come off more naïve than they were. For a fuller account of the prescocratics that better demonstrates the subtlety of their thought and most of the extant excerpts of their writings you can consult “The Presocratic Philosophers” by Kirk and Raven (Cambridge, 1962). On the opposite side of the Mediterranean, up the Italian coast, Pythagoras (yes, the same guy who is famous for the theorem) considers that the thing that holds all things together is numbers. It seems odd to us to reduce all things to numbers but he was convinced by the math of music (a string twice as long as another makes a sound one octave lower) and the way in which numbers lined up with space: e.g. a point equals the number one, a line is the distance between two points, a triangle creates dimensional space and a cube creates three dimensional space. For Pythagoras, all reality can be reduced to numbers. Again we see the seeds of the future here. Modern engineers are pretty smitten with numbers yet today and impressed with how they can get a handle on reality with them. With this emphasis on volume, the Pythagoreans brought form into the mix. The Ionians saw stuff as that which holds all together and makes sense of everything. The Pythagoreans saw the explanation of the universe in the forms that could be measured. This notion of form would be crucial in the system that Plato developed. About one hundred years after Thales, another of the Ionian philosophers, Heraclitus, speculated about all these things. He actually hales from Ephesus and so the Ephesian elders of Acts 20 would have known of his reputation and possibly even his descendants. He proposed one of the most all-encompassing philosophies to date. Even though the vicissitudes of change had been one of the realities that led the early philosophers to find a constant, none of them had really explained change. Heraclitus takes it head on by making it the basis of his synthesis of thought. He asserts that the essential stuff is fire because it is the essence of change. He finds unity in diversity. (Plato, Hegel and Nietsche would all build on this. We will be most interested for the sake of Christian theology to unpack this in Hegel in future posts since his dialectic of change – thesis/antithesis/synthesis is at the core of most liberal dogmatics and also the Marxists dialectical materialism.) To quote Stumpf on Heraclitus (p. 14) “fire is simultaneously a deficiency and a surplus; it must constantly be fed and it constantly gives off something in the form of heat, smoke or ashes.” Like the other presocratics, this seems a bit naïve to us, but note again a similarity to the role of fire and explosion in the big bang theory. The kernel of modern physics, even though often misguided, is found in these first philosophers. But we are not so interested in their various choices as to what grounds all reality. What is most important for future thinkers and for Christian theology (good and bad, mostly bad) is the notion that they began looking for the ground of all reality and thought. Returning back to Italy we find Parmenides and his student Zeno, who like Parmenides, takes an extremely rationalistic turn. Parmenides proposes that all is “One.” There is nothing but Being. Pythagoras used numbers to establish the notion that there are different things in the universe and thus there is change and distinction. There are single points, lines, triangles and even three dimensional things that are cubic. For Parmenides and Zeno, the great Greco-Italian need to maintain unity of thought and being meant that we must sacrifice this perception of change, distinction and motion. Sure, we perceive motion and we perceive different objects, but reason tells us there can only be One, unchanging being. Zeno believed his paradox of the race course proved it. If, according to Pythagoras, a race horse must first of all go half way around the track before he can get all the way around and before that half, he must go half way of that and so on, then movement must be a misperception. In Pythagoras’ mathematical and geometric world of numbers there are an infinite number of “half ways” to bisect. We think stuff moves and changes but in the end, according to Parmenides and Zeno, being is being and it cannot change otherwise there would be no being, that is, nothing that is because everything would be changing. Ah yes, this sort of hyper rationality is what gives philosophers a bad name. Pythagoras and Parmenides were getting tangled up in their mental undies. Each of them was brighter than anyone writing or reading this post but their quest for a ground for all thought and reality got them into eternally cyclical mental corners. Pythagoras did not account for the fact that all is pure in a purely geometric universe but this place does not actually exist. There is no actual mathematical point in the real world because his points were without space or time. (Plato would seek to address this with his dualism by asserting that the physical world is a shadow of a real and eternal world and at the same time he would have a huge and mostly negative effect on Christian theology.) Parmenides on the other hand, neglected to take into consideration that the racehorse occupied space and so already at the starting line there is no paradox of crossing half the distance, then half the distance, etc. If we use our common sense to realize that the horse already occupies space (an infinite number of Pythagoras’ points) then we simply reject his notion of being. Aristotle’s empiricism and philosophy of being would have something to say about this and to my mind, free Christian theology from the tyranny of dualism. But now we have gotten a bit ahead of ourselves. Empedocles was another Italian philosopher. He sought to synthesize the Parmenidean and Pythagorean tension between the need for changelessness and the empirical fact of change. He asserted that Being is changeless but that it was not one but many, many little particles that via the power of undetected forces (he called them love and hate, harmony and discord) these eternal particles could be rearranged into other collections and thus we perceive change and motion. Anaxagoras then countered that Empedocles forces of Hate and Love were too poetic and so he asserted a notion that has never since left Western thought. He proposed that there was a rational force called Mind that was the unifying force behind all reality. This notion of Mind is similar to the views of reality of the pantheists, panentheists, Hegel’s “theology,” Mary Bake Eddy and all her fellow theosophists and even today’s “greenies” who argue that plants and animals are just as important as humans in the big picture because we are just parts of the one big matrix or “mind.” It also shows up continually in Christian theology as well, both in positive ways and harmful ones. All of these thinkers had no need for a creator. Here we can most clearly see how reason left unchecked by revelation, can draw heretical conclusions. In order to imagine reality without a creator, they had to assert that matter (atoms, water, numbers, etc.) is eternal. This is a huge weakness in reason’s assault on the true faith. Amateur critics of Christianity like to attack our belief in a creator as an unprovable premise/presupposition. (There are some strong arguments from reason for a creator. We will consider them when we take up the philosophy of Aquinas.) But if you push them, you will be able to demonstrate that they have their own unprovable presupposition, that is the eternal property of matter. (In this manner, matter is functioning as their god.) The amateurs think that evolution and/or the big bang theory destroy the faith but both of these theories need to presuppose the eternal nature of matter. Evolution is not a counter to creation. The big bang theory is not a counter to creation. Creation is an account of how matter got arranged into the variety that we see today but in addition, it actually explains how stuff got here by God the Father Almighty, Creator of heaven and earth. God created matter ex nihilo (out of nothing). Naturalists have their eternal matter and we believers have our eternal God who not only created matter but also in his mercy sent his own son in that matter (flesh) to die on the cross and pay for our sin. How wonderful! What is reality? (Metaphysics) In answer to this question they began what turned out to be a persistent quest in the West to find some sort of constant and pervasive stuff or cause behind all that we experience. To identify such would bring more of a sense of unity and order to life. They proposed all sorts of things as this ground of all being: water, air, fire, and even numbers. How can we know this reality? (Epistemology) Apart from Pythagoras who proposed that we can know reality through mathematical and geometric analysis, the presocratics did not get to far along in answering this question. How should we act in this reality that we know? (Ethics) There were skeptics in this era as in all ages. Common to all ages since the fall, they reasoned away any consistent and abiding moral law. The Presocratics were seeking a ground of being that could possibly support some sort of ethical system but as with epistemology, they offered nothing formal along these lines. What impact did this have on Christian theology? The presocratic effect on Christian theology was one of momentum toward an idea. Their thought did not impact Christian theology directly but this quest to find the thing or dynamic at the heart of all reality would certainly effect Christian theology in future answers to these fundamental questions. The answers of Plato, Aristotle, and Hegel, to name a few, would impact such theologians as Augustine (Luther’s favorite church father), Aquinas (the architect of Roman works righteousness), Schleiermacher (the father of liberal Christian theology) and countless others. As mentioned above, the seeds for Platonic dualism were planted in this period and what grew out of it would influence Christian theology quite adversely. The philosophical enterprise in general, beyond Plato and the Presocratics, would find its way into Lutheran theology both in positive and harmful ways. We will share more on that once we get to Plato. First, we will consider one of the greatest philosophers and men of all time, Socrates. A CALL FOR QUESTIONS: Please feel free to comment or ask any question. There are no bad questions. This stuff should sound a bit queer if you have not had any formal training in philosophy (and maybe even if you have). The more questions that are asked the better chance we all have of understanding philosophy’s impact on Christian theology. Dear Rev. Dr. Rossow: Thank you for a fascinating review of the origins of “western” thought. I am reminded of my days at the then Senior College in Ft. Wayne, where I took some philosophy and logic courses from Dr. Robert Schnabel and Dr. Mundinger. I have put “western” in exclamation marks, because I am curious about the fact that the writers of the New Testament were almost exclusively Jews. Is it true that, although they were aware, some more, some less, of the Greek way of looking at the world, the writers not only looked at the world, and expressed their faith in Jewish terms, which possibly differed in significant ways from those of the Greeks, but also maybe looked at the Greek way of thinking with some enmity? I ask the question, because I get the impression from my Messianic Jewish friends that they believe there is a difference between the two ways of looking at the world, but they have difficulty defining those differences. Consequently there may be a difference in interpreting Scripture. If you plan to deal with this matter in a future posting, please do not let me interfere with your plans. In any event, I am very interested in your response, without myself having any set opinion on the matter. That is a really good question. The short answer to your question is that Scripture gives us the story of God saving the world through Christ and so any philosophy in Scripture is secondary to the message of Scripture. 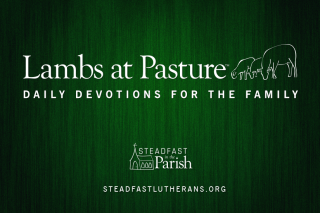 For sure, there are Hebraisms, “mid-easternisms,” and “westernisms” in the Scriptures. The one that comes to mind is the hotly debated matter of Pauline psychology. Some argue that he borrowed the Greek philosophical notion of body and spirit or even the threefold mind, body and spirit. I think it is possible to understand what the Scriptures say about the nature of man without much if any philosophy. I will not be addressing philosophical influences on Scripture but instead will be highlighting philosophical influences on Christian theologians in the post Biblical era. One of the areas in which I see a possible conflict between philosophies is the matter of the Real Presence. As you know the Roman Catholic church, even before Luther, determined its dogma on the basis of Aristotelian physics, substantia et accident. We Lutherans believe in the Real Presence, but without the participation of Aristotle. On the other hand, many of my Messianic Jewish friends cannot agree with the concept, because of the prohibition against consuming blood. Are these philosophical differences, or simply differing interpretations of Scripture, not affected by philosophy? I suspect that our need to define how the Real Presence takes place is a reflection of our “western” way of thinking. Couldn’t help laughing at Pythagoras’ race horse analogy. It reminded of my beginning years in calculus, i.e. the computation of limits. I wonder how he would be at poker? As usual Dennis, you make me laugh. I am not sure why your Messianic friends have a problem with the words of the new and greater covenant so there I can’t help you. With the Roman Catholics it is certainly a matter of philosophy but not so much what sort of philosophy (which we will be addressing here) but the fact that they they see reason as a source of religious truth right alongside Scripture. Using Aristotle’s metaphysics to explain the Lord’s Supper is acceptable as long as it agrees with Scripture but as we know, transubstantiation is not the teaching of Scripture. The Real Presence is. You will be surprised to see in future posts how favorably disposed I am to Aristotle and I will make the case that all reasonable people who believe in verbal inspiration and the incarnation should also be so disposed. (How’s that for a teaser?) But the use of Aristotle to defend transubstantiation is fascinating but wrong-headed. Thank you. As I understand it, Luther admired Aristotle’s teaching about logic, while he despised his metaphysics. I find this very admirable, because it shows Luther to appreciate truth for itself, apart from the person who spoke it. In other words, he upheld Aristotle on the ad hominem fallacy. As to my Messianic Jewish friends, they hold that the new and greater covenant also teaches abstention from blood. George – the answer to your messianic friends prohibition is found in Leviticus 17:11-12. (see Dr. Kleinig’s Concordia Commentary for a detailed explanation – your pastor should have a copy if you do not own a copy). PS – we are approaching the six month release of Leviticus Too (ie, the CC Hebrews is near. Can parousia be coming soon to a galaxy near me? You are so right. Time obviously dims my recollection. But I still find it admirable that Luther could admire some of Aristotle’s teachings while despising others. I look forward to any commentary you have on Aquinas and Luther. I have always wanted to learn about this by reading Luther, but maybe you can save me the trouble. The fact that Luther admired some of Aristotle’s teachings would seem to indicate that he admired some of Aquinas’ teachings as well. I know Luther despised what the Church had become under the influence of the later scholastics. Thank you much, and keep up the good work! I do not know of Luther stating that he admires Aristotle in any fashion. As a matter of fact he says that no one can be a theologian if he studies Aristotle. However, this is all about Aristotle’s anthropology and his ethics which were used by Aquinas against the doctrine of salvation by grace through faith. In place of the true doctrine Aquinas teaches the standard Romanist view of progressive justification, i.e. man slowly becomes justified as he is cleaned up from the punishment for his sins by doing penance and when that is not enough, he gets further cleaned up (purged) in purgatory so that he can finally be good enough to enter God’s heaven. I understand that part of Aquinas/Aristotle as it applies to causality, but I never connected it to justification. Thanks! So did Aquinas believe that we are “potentially” justified, and that our works are given merit because of what Jesus did at the crucifixion? Thus, the need for purgatory if our sin/works ledger was not balanced when we die. I am no expert on Thomistic theology and it is a bit dangerous to say Aquinas or the Catholic Church teach this or that since both are so broad. I think you are on the right track though. The quote above says that God infuses grace in us and that causes us to habituate good works and the more we do the more the potential becomes actual. Another thought on this. It is important to remember that Rome teaches that we are justified by God’s grace. Penance, purgatory and this whole notion of actualizing potency, cleanse us from the punishment that our sin has earned. So we need purgatory to finish paying for the punishment due us for our sin. Thank you Elizabeth. That is a helpful Luther quote illustrating how subtle Luther’s approach is to Aristotle. Thanks again. I think I’ll do some reading on sanctification and justification from the Roman Catholic perspective. I think these are great issues to discuss. I also think we should teach philosophy in high school, which is why we need more Lutheran high schools. I doubt any of this will ever make its way into secular schools. For my money the Catholic Catechism published in 1994 (I believe it has the imprimatur of John Paul II) is the most authoritative and most widely received piece of Roman theology. I use it all the time. The downside is that it has just enough post-modern gobbldegook in it that it can be widely interpreted but still, I think it is as close as you can get to accepted Roman doctrine. I heard that after Vatican II that a lot of post-modern ideas, like existentialism, clouded things. Aristotle’s Metaphysics is one hot mess, disjointed, confused, and in many instances nonsensical. That was recognized by Luther, Melanchthon, et al. in their day, and by philosophers in our own. His Nicomachean Ethics, however, were well received at Wittenberg, Melanchthon’s translation of the same undergoing seven or more editions and utilized in courses at the University. I have understood “materialism” to mean a preoccupation with gaining things as in material wealth, but here I see it means a denial of the spiritual realm. Perhaps the meaning of this word has been obfuscated in the past. Am I tracking? That is a good question Steve. Morally speaking it is the gaining of things but in philosophy it usually means the physical realm vs the non physical. @Pastor Tim Rossow #24 Thank you, Pastor. Funny that the hippies (communists) used to accuse mainstream Americans of “materialism” because (we) kept up with the Jones’, sent kids to college, bought cars, lawnmowers etc., while the communists (atheists) were the “materialists” in the philosophical sense. Systematically generate edgy method	adjustments.